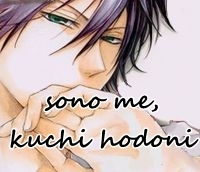 Main » 2013 » April » 19 » Sono me last chapter !! Sono me last chapter !! Thanks to Matteiru's scan today we're releasing the last story of Sono me ! !